DealsIn Offer valid only on skyniceland.com. 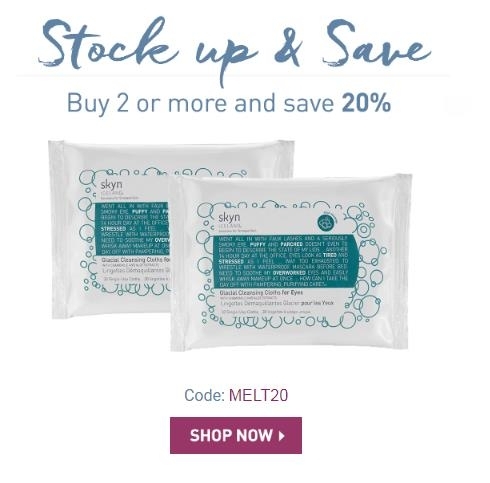 Offer valid for 20% off select products only: Glacial Cleansing Cloths for Eyes. Must purchase 2 or more for discount to apply. Must enter code MELT20 at checkout in order for discount to apply.